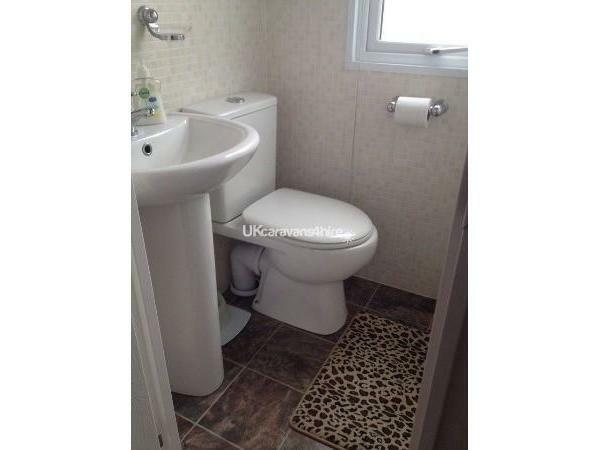 £100 deposit secures booking, with balance to be paid 6 weeks before holiday. 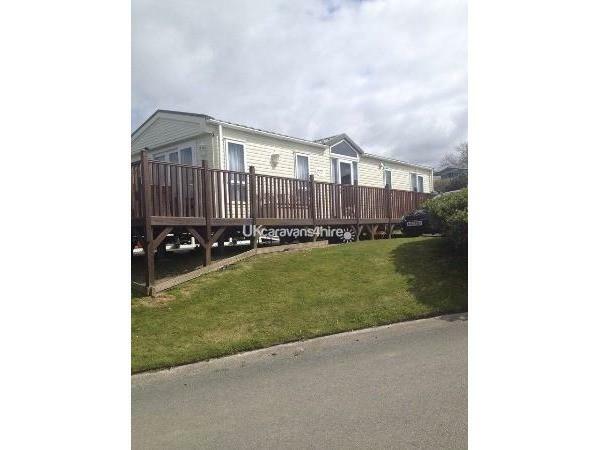 This luxury 2 bedroom Pemberton Montreux caravan measures 39x12, is centrally heated and double glazed, it is in a prime location with wraparound decking, which overlooks breathtaking views of cardigan bay and the coast of New Quay. 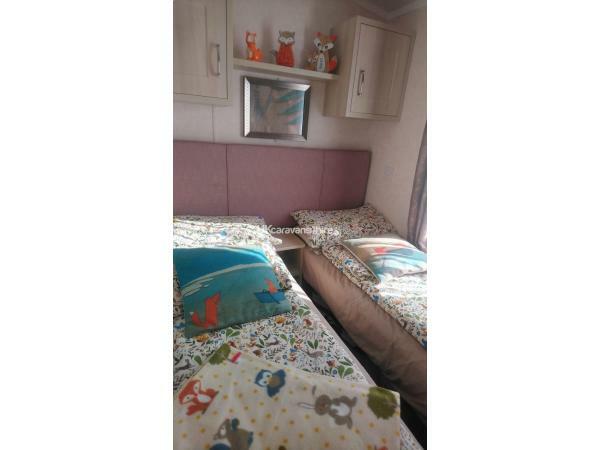 Inside the caravan there is a comfortable and spacious lounge, seating for 6 people, feature fire, 32inch flat screen TV/DVD player and stereo. 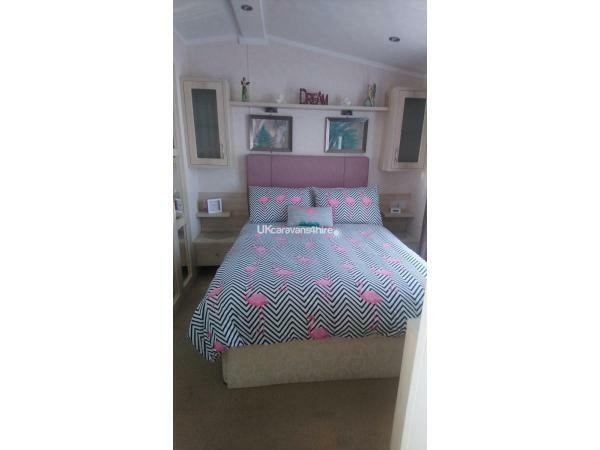 The 2 seater sofa pulls out into a comfortable double bed. 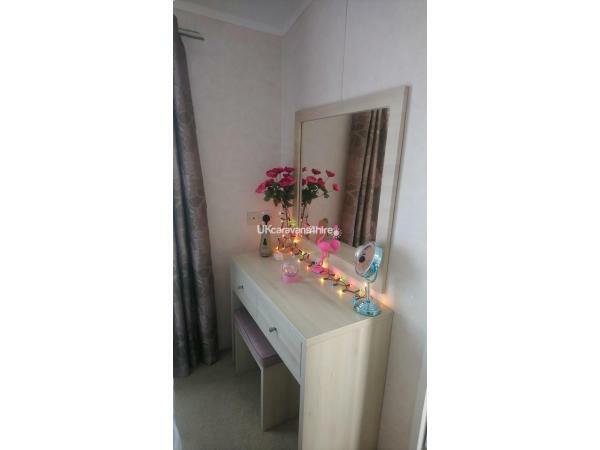 The dining area seats 4 and the fully equipped kitchen has a large American style fridge freezer, washing machine, and microwave, it has a built in gas oven and hob. The Kitchen is also well equipped with cutlery, crockery, glass wear and pans to make your stay more comfortable. The door from the kitchen leads to a short hall way off which is a modern shower room with wash basin and WC, a twin bedded room with wardrobe, mirror and over bed cupboards, and a good sized master bedroom with walk in wardrobe, and ensuite WC with wash basin. Outside on the decking is a table and chairs which is perfect for watching the sunset or just watch the world go by. Duvets and pillows are provided, but guests must bring their own bed linen (sheets, duvet covers and pillows) also their own tea towels, personal and beach towels, however linen can be hired at for a small additional cost. Sorry no smoking permitted inside the caravan and no pets allowed. 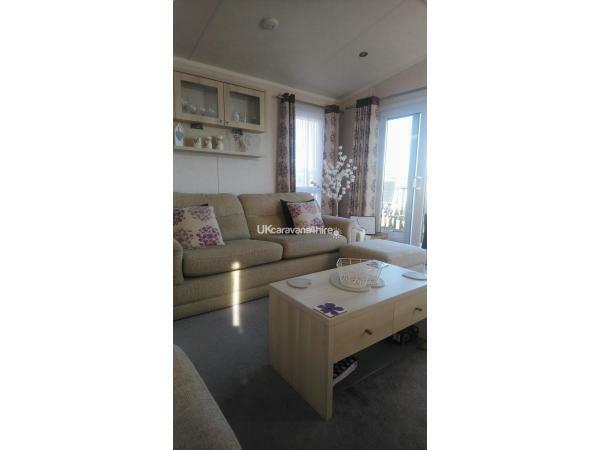 A stunning caravan that was immaculate throughout, fantastic views and the owner made the whole booking process so easy. 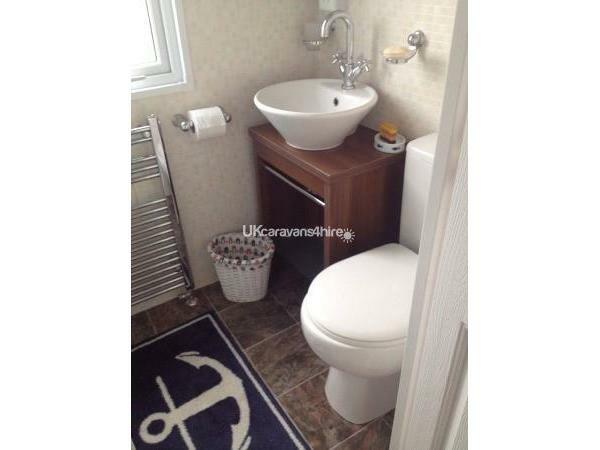 Would definitely recommend this caravan to others. Thank you so much Bernadette, myself and the children thoroughly enjoyed! Without doubt one of the best caravans we have stayed in! Excellent location and the provisions in the van were superb. We look forward to staying again! The owner was amazing: thanks for the memories! What a wonderful caravan! It is spacious, beautifully decorated and in a perfect location to the beach and club house. The view from the balcony means that you can sit and watch the dolphins or look out at the piscuresque harbour. Booking was so easy and the whole process from start to finish was made very personal- we will definitely be booking again next year! the photos for this caravan do not do it justice. it is beautiful, I was so sad to leave I could live in it. 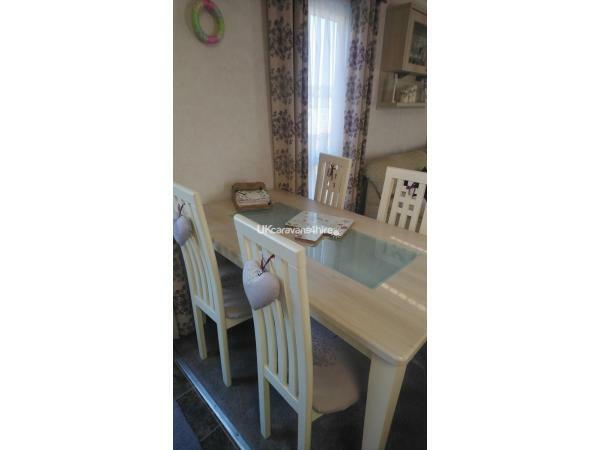 It is the best equipped caravan I have ever come across and the most comfortable. booking it was so easy and everything was so personal. The whole experience has been amazing and the views are breathtaking. This lady has gone above and beyond with this caravan. A beautiful home from home caravan. Spotlessly clean and very comfortable. Wonderful views from the lounge looking out to sea. 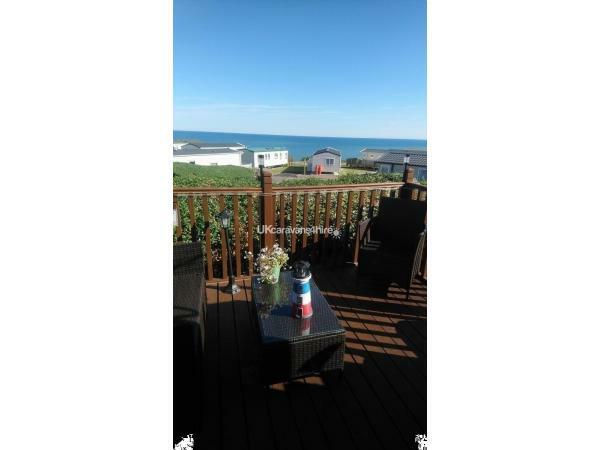 From the decking you have views of New Quay harbour where you can sit and look for the dolphins playing in the sea. 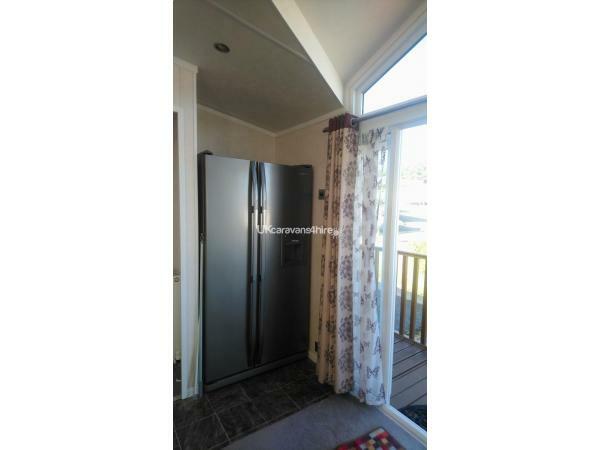 This caravan is equipped with everything you need for a comfortable holiday including a washing machine. I would personally recommend this caravan knowing you won't be disappointed.